More and more anglers purchase a watercraft equipped with motors. Thanks to modern ships could get into wild waters where the fish did not experience pressure from the spinnings or faleristov. However, it is not always possible to choose the right boat and engine, because of this there are certain restrictions on application or spend too much money. 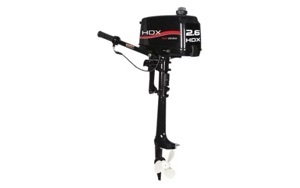 To understand for themselves, how to choose outboard motor, you need to answer a few simple questions. And you need to start with determining water where you will use the boat. Every angler has their own preferences in fishing methods and the nature of the reservoir. Therefore, these points are important to consider before buying the boat and motor. The most common are petrol units, which can be called universal. Power engines ranges from 2 to 400 HP outboards of low power can be used to move the fisherman and the fish (track, trolling). Jet model created for the safe movement of boats in the shallow waters, waters with rich aquatic vegetation and shoals. 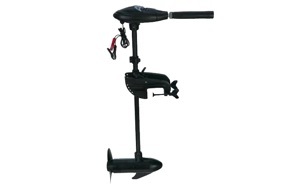 Stricter environmental requirements for small vessels, gave impetus to the development of electric outboard motors. They are safe and noiseless, compact and light. Equipping the boat in such a low-power boat engine can successfully navigate around small lakes, to catch a predator on the track. On the question of what motor is better of these types, could only reply the Fisher. As for the price factor, the cheapest are electric motors. Petrol engines differ in design. Distinguish between two-stroke and four-stroke models. The first type is distinguished by simplicity and compactness. Powertrains are not whimsical to the quality of petrol and thanks to the low weight they are easier to mount and dismount. The name of the engines received thanks to the work cycle, which consists of two cycles. Because of this, the engine is of great power density. Attention! Before refueling the unit in two-stroke gasoline you must add a special oil. Power four-stroke engine differs high life. He is considered to be more reliable, this unit is quieter, emits less harmful substances. The design includes a separate lubrication system, so the gasoline is poured into the tank, pure and simple. The 4 strokes of the working cycle, there is a more complete cleaning of the cylinders from the exhaust and filling of the combustible mixture. The fuel is spent more economically and efficiently. 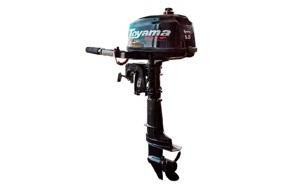 There are many classifications, which take into account different characteristics of the outboard engine. One of the most interesting for consumers is the power. Outboards of low power include two subcategories based on weight parameter. Engines 2-4 HP have a mass of 16 kg. This push-pull model, equipped with its fuel tank. The power plant with a power rating of 5-8 HP weigh up to 27 kg. They are designed for a complete boat weight up to 112 kg. Medium-power motors represent the largest category. With such engines it is possible to travel long distances. In the weight category up to 45 kg fall power units with a capacity of 10-18 HP, including electric models. Heavier setup weighing up to 65 kg and have a capacity of 20-35 HP. Very powerful engines can develop power up to 140 HP, They are installed on a large vessel. It should know! According to the Russian legislation the use of boat motors of low power (10 HP) without registration. In some bodies of water prohibited operation of boats with internal combustion engines. Installation of outboard engine should occur in accordance with the technical specifications of the boat. Use the power unit with more power than specified in the passport of a vessel, it is dangerous for the owner and his passengers. As for the lower power limit of the power unit, it should start from the destination of the boat. For trolling should pick up the motor so that the speed of a watercraft fitted with a range of 2-5 km/h. the Application of powerful engines leads to the fact that anglers put the oars in the water or do a special parachute to slow speed. When the ship is used to overcome the large distances in the reservoir, it is necessary to take into account such factors as gliding. In this position of the boat does not concern the surface of the water, thereby reducing water resistance, and the engine experiences less stress. There is a simple mathematical formula that can calculate the optimal capacity of the power unit. It is necessary to sum up the weight of passengers, cargo and the boat with the motor. The resulting value in kilograms should be divided into 30 in the case of a flat-bottomed vessel or 20 for the regular boats. 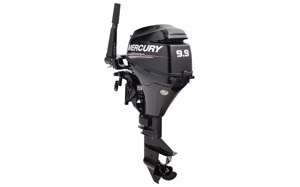 Comparison of outboard motors with same power settings may reveal some structural differences. When choosing a motor it is important to pay attention to the height of the transom of a watercraft. This figure is specified in the passport on the boat. Leg length (gatwood) is chosen in such a way that on one level was the bottom of the boat with anti-cavitation agent stove. If excessive penetration of the power unit to the nose of the boat will be pushed out upwards. If the powertrain to position high you will have problems with access to planing. In any case, the engine increases the load, increases fuel consumption, decreases the resource. Recommendation! The stable position of the watercraft during movement is influenced by the angle of the transom. Maximum occupant safety is ensured when placing the engine at an angle of 5-15 degrees. Many anglers, choosing which boat motor is better for him, stopping at the thin models. One owners enough to hide from competitors, other fishermen are satisfied with the capacity of the unit trolling fishery. In addition, this category of engines at an affordable price, they are not required to register and to do right. But there are some nuances that will help anglers make the right choice. Most small motors are perfect for a relaxing fishing on still water. They have a number of interesting features. Most models are equipped with plastic screws. When hitting the sandbank or snag a node breaks down, and the angler has to drop the oars in the water to get to shore. Therefore, experienced boaters set aluminum screws. In addition they increase the strength and speed of the vessel. For low power motors are required capacious fuel tanks, enough to equip a unit with a capacity of 0.5-1.5 L. This volume of fuel will last for a few hours of sailing. All models from this category are run at a neutral speed. The movement begins with the transfer of the special throttle. For mounting on boats of PVC is used a special clamp. She provides turn the power unit on 360 degrees. And the tiller, and the throttle has a simplified design. To control a skid regulator on the front panel. They can surf the rivers with a steady flow. Almost all models originally equipped with aluminum screws. To prevent overheating of the power unit, used water cooling with forced circulation. Some models have a similar clamp, which provides turn engine 360 degrees. Electric motors have limited application due to lack of power. However, the evolution of batteries continues, so the prospects of motors is quite optimistic. How to choose a motor for a boat that will be powered by electricity? The main difference from the petrol models is the presence of such a parameter as the traction. It is expressed in kg or lb and not in the usual horsepower. The greater the mass of the boat, the greater must be the traction. For example, for boats-500 kg-suitable power unit with a thrust of 13.5 kg. But experts advise to buy a motor, whose power exceeds the estimated value by 20-30%. Note some operating characteristics of electric motors. This unit is best used in a standing body of water with clean water. The maximum effectiveness is observed in calm weather. Capacity built-in battery will last only for 2-3 hours of fishing. It is therefore useful to have an extra battery. Anglers identified the best boat engines that have passed the test of time in a variety of conditions. More good affordable models is adjudged on the domestic market of China. 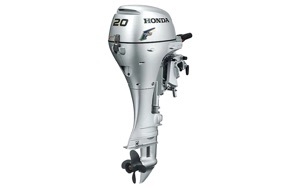 Review of outboard motors start with a popular Chinese model. The distinguishing features of this compact motor are simplicity and ruggedness. Thanks to its light weight (9.8 kg), it can carry even a teenager. The push-pull Assembly has a 3-blade propeller from an aluminum alloy. The declared output 2.6 HP motor is capable of propelling the boat to a speed of 9 km/h. the Engine starts without problems in any weather, and fuel consumption rate is limited to 1.3 l/h Integrated fuel tank holds 1.2 liters of fuel. From the disadvantages of low power “Chinese” is the lack of reverse. To deploy the boat will have a turn of body on 180 ° C. Not reliability and plastic handle gas. One of the best representatives of doktechnik with capacity up to 5 HP is Toyama TM5TS. Though this brand is Japanese, in fact, the motors for our market going in China. Two stroke stands out with unusual vitality and simplicity. The usual angler could handle the maintenance on the engine. Built-in tank holds 2.7 l, but this amount is not enough when moving at full speed even for an hour. The disadvantages, in addition to gluttony, can be attributed to the high price (45 thousand rubles). In the category up to 10 HP a leading position holds the American motor Mercury F 9.9 M. the ME Is the four stroke version is able long to serve his master, saving him money on fuel. The price of this unit is comparable to some Japanese dvuhmestnye. Displacement two-cylinder unit is 209 CC, the motor is equipped with water cooling and external fuel tank (12 l). The presence of the generator (6A) allows to make transitions and night. A disadvantage of this model may become a scarcity. An excellent resource has Japanese Honda BF20D3 SHSU. Though the price of the motor is comparable to the cost of the car, but it will serve a very long time to its owner. The power of 20 horses provides a 350-CC unit with a working cycle of 4 stroke. The manufacturer has equipped the unit efficient cooling system with 2 water pickups. The engine starts with electric start, although it is provided and the handle with a rope. The downside of this model of anglers think only a high price. Of electric motors the best model for inflatable boats Intex becomes the series (68631). It is designed for boats weighing up to 600 kg. Motor equipped with telescopic tiller and a battery indicator. The design provides for the presence of 5-speed forward and 3 reverse speeds. Choose the boat motor is not easy. But when you think about it, it will be a real helper for the angler.